California urban artist David Gonzales has given Chicano and Lowrider style a presence in popular culture like never before. 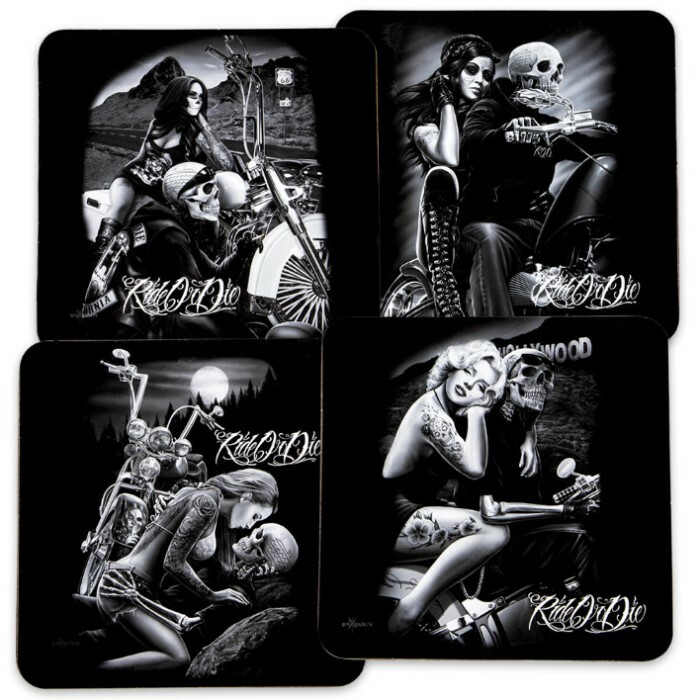 His signature black and white Ride or Die artwork is displayed on this set of four coasters, which would absolutely be suitable for framing and hanging. You get four different pictures, depicting a beautiful biker chica riding with a skeletal biker. They are made of durable, sturdy materials and feature a cork backing to protect your furniture’s surface. Get a set of these incredible coasters for your bar gear and another for your wall.